Since the 32nd annual Terry Fox Run is this Sunday, we thought you might to see a little bit of history. 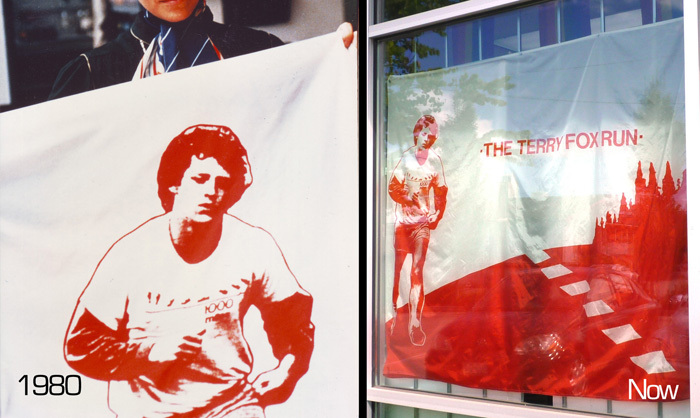 On the left is a Terry Fox Run flag from the original 1980 order, and on the right is the Terry Fox flag currently on display outside our store. We’re still selling them in our Vancouver store as well as online, and we donate $50 from every sale to the Terry Fox foundation.